Two major events are happening this month - Father's Day and Graduation. Hallmark has a great selection for great gift ideas for these two events. 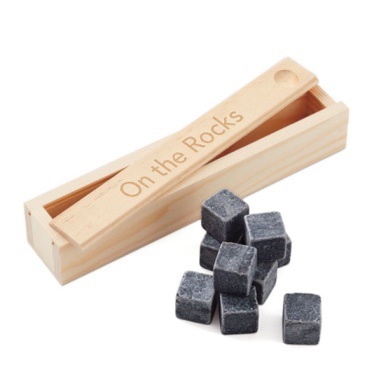 It has been a few years but I have always wanted a Whiskey Rocks Set. I always wanted to say "I would like whiskey on the rocks, please" even though I am not a whiskey drinker. I am more of a vodka person. Technically it is suppose to be on ice but literally on rocks is much more cooler. If your dad is a whiskey drinker this is a must have. 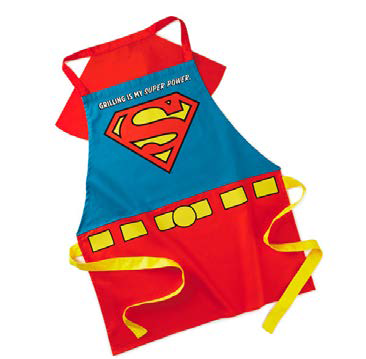 If you have a dad who loves Superman, I would suggest this amazing Superman apron. I wonder if this comes in pink... I would wear this all the time even when I am not at the grill. It would be nice to see a collection of Superheros aprons in the future. For the grads, they deserve a token for all their hard work over the years. 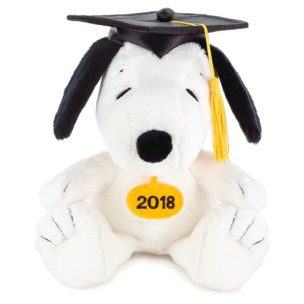 I think regardless of the age, they would love Snoopy 2018 Graduation Stuffed Animal Gift Card Holder. Who doesn't like Snoopy? 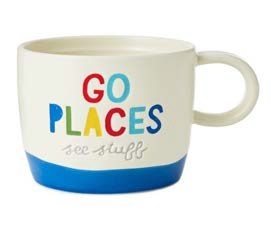 If your grad loves to drink coffee or tea, then they might like a new mug. I own a few Hallmark mugs and they are always my favourite ones to use. This is the perfect size to use on a daily basis. This giveaway will run from June 17th to July 8th, 2018 (midnight EST). Winner, you have 24 hours to reply. You must be 18+ Open to Canadians Only. Good Luck! Psst - Can't win if you don't answer the mandatory question. I am not responsible for shipping and handling or damages of the prize. Your information will be sent to the Sponsor for the purpose of shipping out the prize. Ontario... I purchase small gifts from hallmark - it is a great store to get gifts for a good occasion (ie. Graduation, Weddings and Anniversaries) I also love getting my Xmas Ornaments there. I am from Ontario. I like to get cards and unique gifts for my friends and family for birthdays. I'm from Nova Scotia and I love purchasing cards from Hallmark! We buy cards,ornaments , whatever catches our eye. I am from Manitoba. I like to purchase cards and collector Christmas decorations from Hallmark! I love finding great gift ideas there - like candles! I am from Ontario. I like to shopping their unique gifts! I like really interesting and funny greeting cards. I'm in Ontario and I love to purchase cards. I am in BC. I like to purchase cards, ornaments and unique gifts. 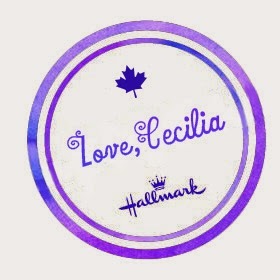 From BC, I love the choices in Hallmark Cards and special gifts.